Thank you for the read. Thank you for the post and your poem. Technically, “Hispanic” is an ethnicity, not a race. Nonetheless, ferdeal agencies twist into knots trying to account for people of “Hispanic” origin, without providing it as a racial category.Although “Hispanic” is not a race, the term is used by law enforcement when giving the public a description of an individual. Obviously, it’s a messy distinction. The definitions aren’t clear.The point, however, when it comes to the Trayvon Martin case, is clear. 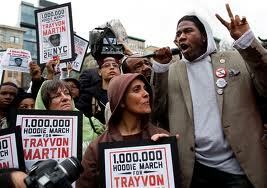 Race baiters demand that Zimmerman be designated as white to advance their agenda. It’s necessary to diminish his minority identity, be it racial or ethnic. This is nothing new. Blacks have been lclaed Afro-Americans for years, does that raise the question of whether blacks are African or American ? God forbid! it’s just a way of saying that those that are Afro-American are Americans of african decent. 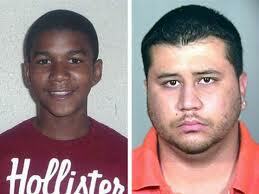 Zimmerman is bi-racial so he is identified by the decent of both races. President Obama was a bad choice to compare this incident with, because none of us know( for sure) of what decent, nationality or religion he is … as a nation we went with what was told to us …Is he the one that will deceive the nations? Or has he been unjustifiably accused? I think the “full” investigation of that question should have been done BEFORE he ran and became president of America … this is where the true comparison is because the FULL investigation should have taken place THEN and the case wouldn’t have to played out in the media NOW. Thanks for your comment and the read. But there ARE people that are both white and Hispanic. Look at Univision; most of the stars and horancs are white Hispanics. What about in South America for instance? Uruguay? Argentina? The children and grandchildren of immigrants from places like Spain and Italy, or even Germany, and elsewhere. Clearly white/European people (or they’d be called “white-ethnics” here in north America). Yet since they’re Spanish speakers born in south America, if they came to this country they’d also have to be called “Hispanics”. Would that make them a different “race” from, say, a cousin of theirs whose family had emigrated to north America instead of south America ?? That’s why that whole category (“Hispanic”) is so confusing in a way. It’s not just for visibly “racially-mixed” Mexicans, Puerto Ricans, etc, although that’s how it’s most commonly used admittedly. Zimmerman would be best described, in my view, as biracial (white/European and mixed Hispanic). His appearance however is, admittedly, much more like the latter than the former. Obama is of course biracial as well, but due to historical circumstances in this country (circumstances which were not really created by black people after all) he is much more likely to self-identify as just black, rather than white. The “one-drop rule”, etc. He readily admits to being biracial if asked. He’s never hidden it. Obama Can’t Win Healthcare Test 25 Years Since My Life Began…and A Lot Has Changed.